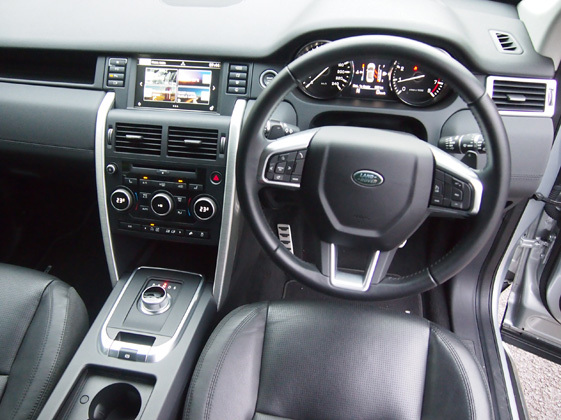 Designed and engineered at the Land Rover Development Center in the UK, this Discovery Sport is produced at the company’s award-winning manufacturing facility in Halewood, Liverpool, in the United Kingdom. 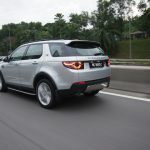 Arriving in Malaysia earlier this year, this British SUV has had little impact on the segment with the Japanese rivals taking a large share of the sales pie. 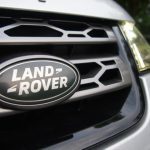 Part of this reason is because of its selling price which has risen due to financial exchange rates and the other part is due to the lack of the Range Rover badge snobbery that it does not carry. 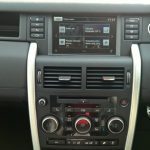 Its relative, the Evoque carries the Range Rover badge and so its demand is still very high. 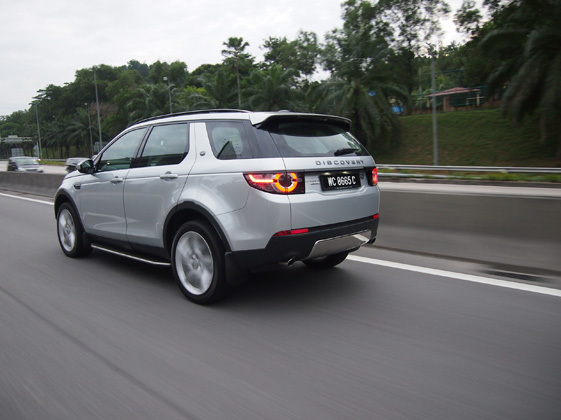 Let us share with you some vital information on this all new Discovery Sport. 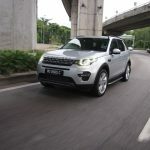 This all new Discovery Sport is a versatile premium SUV with a compact footprint which still provides 7-passenger seating in a “5+2” configuration. 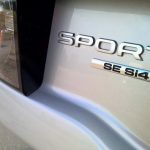 This SUV delivers a highly refined combination of performance, safety and efficiency thanks to a body shell of high-strength steel and lightweight aluminum, a 240hp turbocharged 2.0-liter petrol engine working with a 9-speed automatic transmission and standard all-wheel drive. 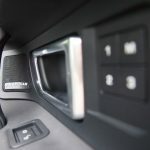 This represents a fraction of the advanced equipment available in Discovery Sport, which also includes Head-Up Display, an all-new 8-inch touchscreen infotainment system, and tilt-and-slide row-two seating for maximum interior configurability. 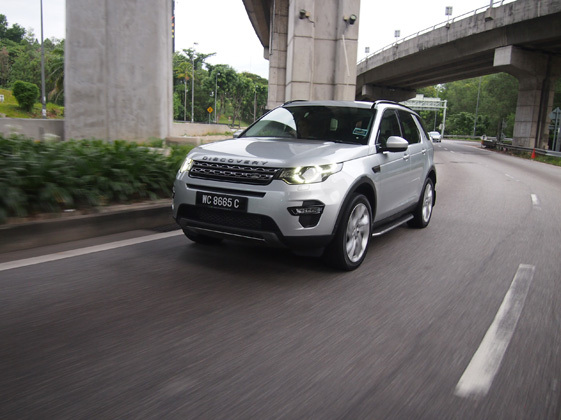 Discovery Sport has been engineered with the latest active and passive safety advances. 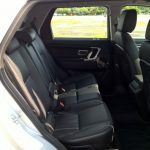 A comprehensive occupant safety package includes a total of seven airbags, driver and passenger, knee, and side curtain and thorax airbags. 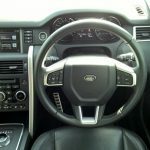 Other safety features include Hill Descent Control (HDC®), Gradient Release Control (GRC®), Anti-Lock Braking System (ABS), Electronic Traction Control (ETC), Electronic Power Assisted Steering (EPAS), Hill Start Assist, Roll Stability Control (RSC), and Dynamic Stability Control (DSC). 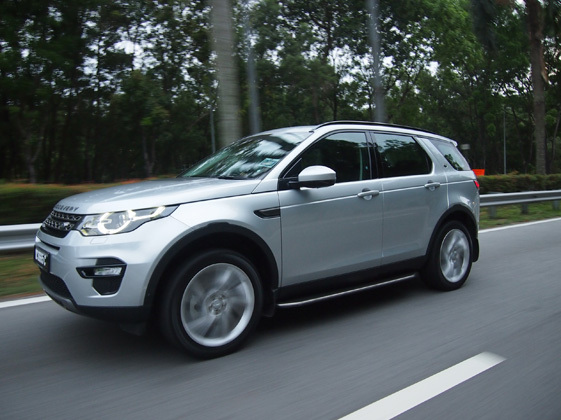 Being a Land Rover, the Discovery Sport offers unrivalled all-terrain performance optimised approach, departure and break-over angles and Terrain Response® System. 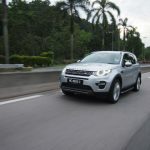 Terrain Response® allows Discovery Sport’s steering, throttle response, gearbox, centre-coupling and braking/stability systems to be precisely tailored to the demands of the terrain. 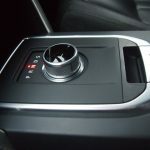 The system features four settings: General; Grass/Gravel/Snow (for slippery conditions on- and off-road); Mud and Ruts; and Sand. 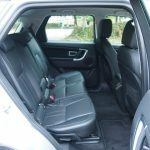 An all-new multi-link rear axle not only provides engaging driving dynamics but it also provides ample and flexible cabin space behind the second row. 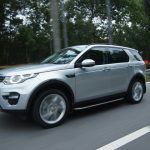 Coupled with supple long-travel suspension, the innovative rear axle also ensures the Discovery Sport is comfortable, refined and rewarding to drive on-road, while retaining the breadth of all-terrain capability for which Land Rover is world-renowned. 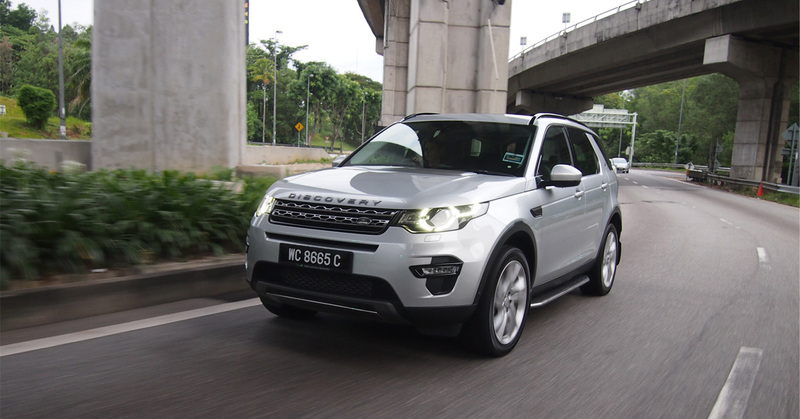 In fact, with approach, departure and breakover angles of 25, 31 and 21 degrees respectively, Terrain Response® technology, and the ability to wade to 600mm, Discovery Sport offers class-leading capability in all conditions. 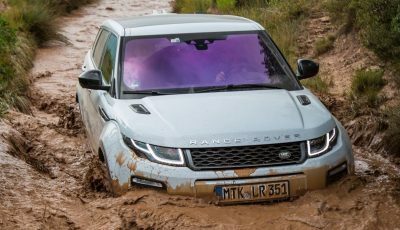 Like the previous Discovery, this new one takes the same basic 3 box shape but with new head and tail lamps borrowed from the Evoque with a modernized new center grill. It stands tall, due to its high clearance, which permits travel over potholes and speed bumps without hesitation and negligible cabin roll. Bet best of all is its ability to traverses uneven trails, dusun tracks, muddy logging trails and cross shallow rivers with little effort. Also, its long-travel air suspension allows each wheel to reach high or low over such rough stuff for surprising agility. 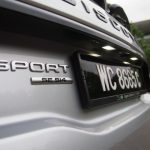 This new generation Disco does not only set the standards for the class, it can easily be described as one of the very best luxury models of any category that’s on the market. 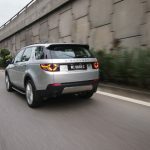 The new styling revisions, many of which were first introduced on the equally impressive earlier Discovery model, gives this Disco a unique look but underneath the suave design continues to exist with all the goodness that the brand has come to be known for. 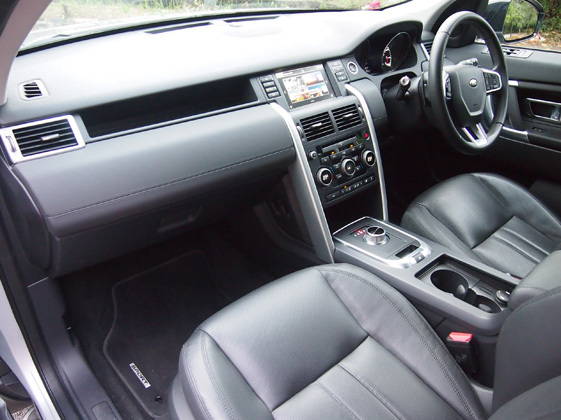 On the inside is an interior that is as plush as it is luxurious. 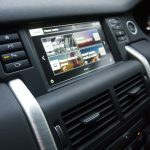 Generously equipped with the latest multimedia technologies, all surrounded by some of the best British cowhide around, the Land Rover cabin borders on being ostentatious comfort levels are further boosted by unrivalled refinement, courtesy of added insulation and lamination. 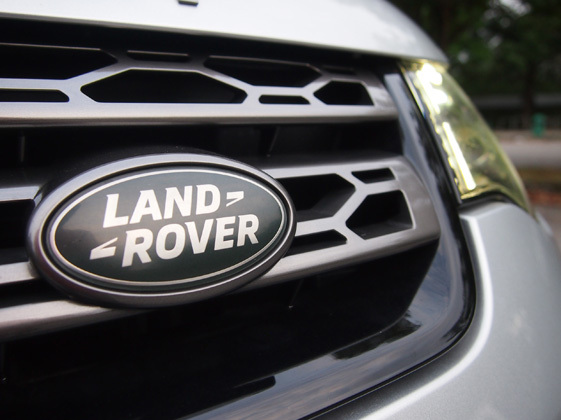 This flagship of the Land Rover line-up gives you a 7-seater SUV that takes you where you want to go while letting people know you’ve arrived. 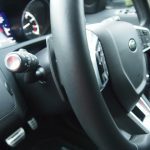 The 2.0-liter petrol engine version we are test driving features an advanced low-inertia turbocharger, high-pressure direct fuel injection and variable valve timing to deliver exceptional driveability throughout the rev range. Twin balancer shafts ensure high levels of refinement. Smart regenerative charging prioritizes charging the battery while the vehicle is decelerating, reducing the electrical system’s demands on the engine. Producing 240hp at 5,500rpm and 340Nm of torque from 1,750 RPM, the all-alloy engine offers excellent performance and flexibility from a light, compact package. Specially treated piston rings and tappets minimize friction for optimal efficiency, and a sheet-metal exhaust manifold helps to warm up the engine quickly to reduce emissions during short drives. 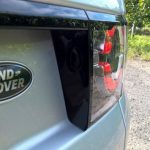 Fact, it drives and feels like a grown up Evoque and with a lower asking price, this should be the first choice for many buyers, however the lack of the mighty ‘Range Rover’ badge on it prevents high demand. 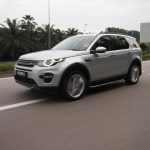 Best of all, every Discovery Sport comes with a 5-years Warranty, 5-years Servicing and 3-years Jaguar Land Rover Roadside Assistance. 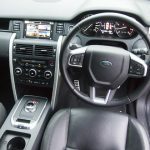 Worry free motoring ready for you.